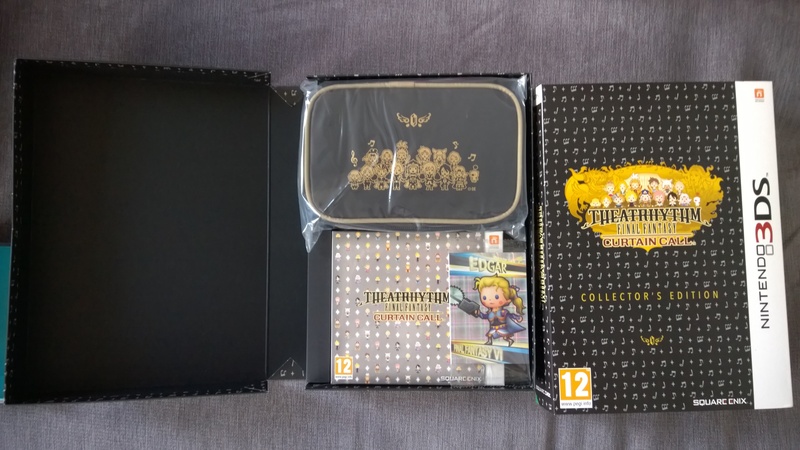 Theatrhythm Curtain Call collectors edition: What’s in the box? 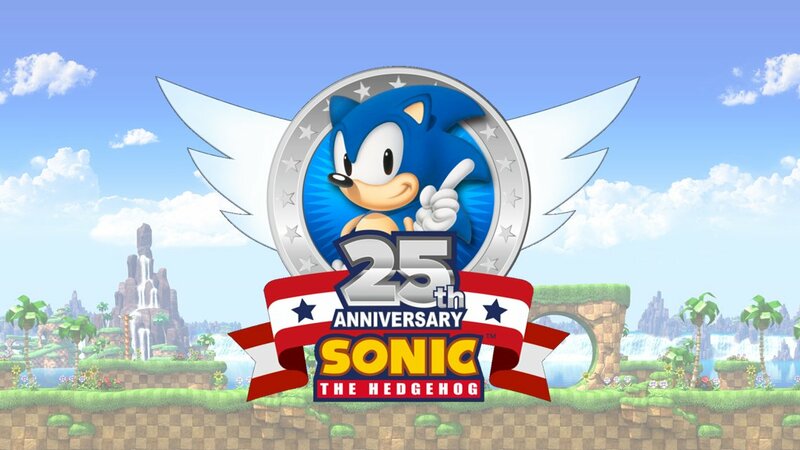 Today, the sequel to one of my favourite games of 2012 hits the 3DS. Theatrhythm Final Fantasy Curtain Call, to give it its full, unwieldy name, is the follow-up to Square-Enix’s rhythm-action Final Fantasy compendium, and it’s fit to bursting with more music, more characters, more modes and even more fanservice. 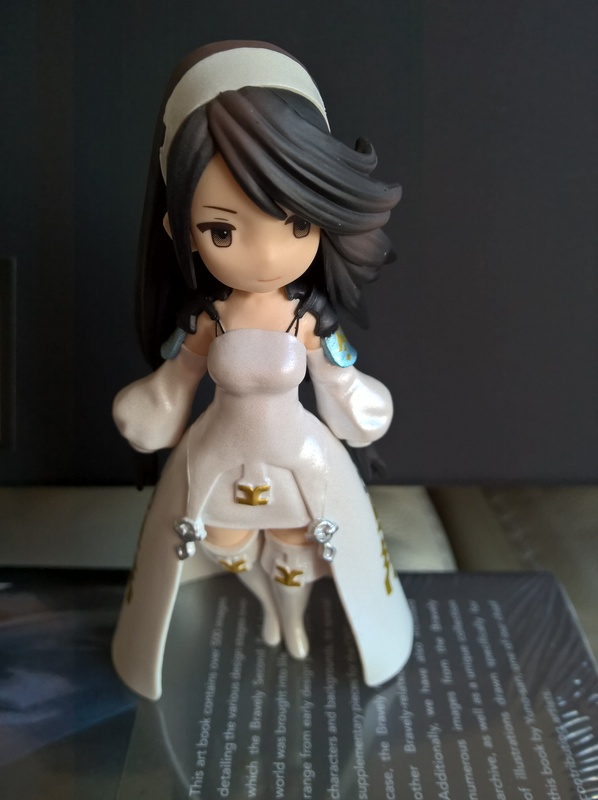 I’m a sucker for pretty much anything FF, especially its music, so I was glad when Theatrhythm turned out so well. And I of course ordered the Collectors Edition of Curtain Call, which has just arrived. So let’s take a look at what you get in the box. 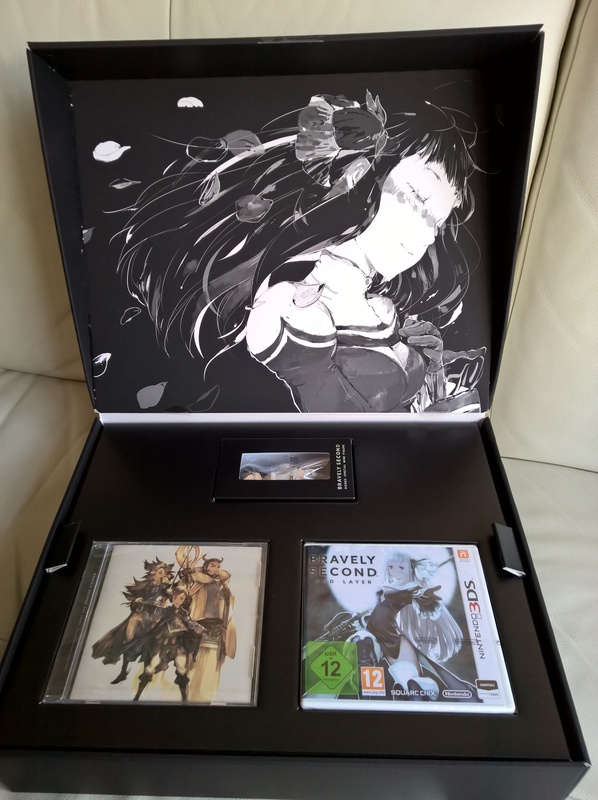 It’s quite a large box for a 3DS game, and it’s pretty similar to the one Final Fantasy XIV: A Realm Reborn came in, with a sturdy box covered by a card slipcase. 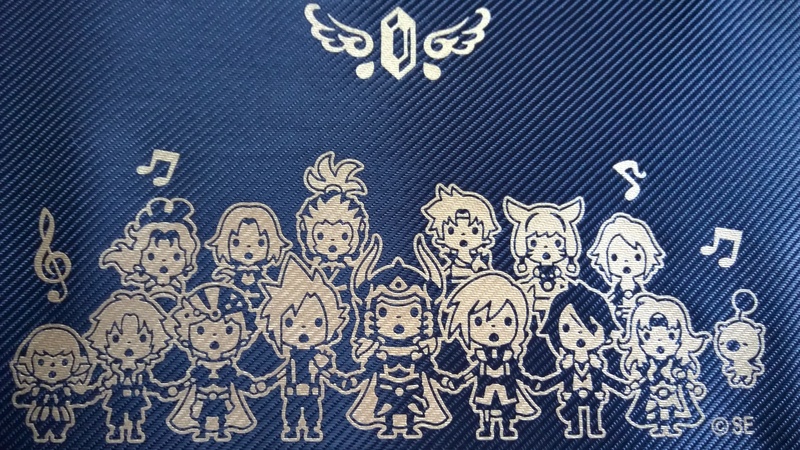 Inside is a collectors pouch for your 3DS emblazoned with the cast and logo, and unfortunately for me, it’s for a 3DS XL. I can still use it to store my launch model console, of course, but it won’t be a snug fit. We’re also treated to five platinum CollectaCards of the kind found in the games. 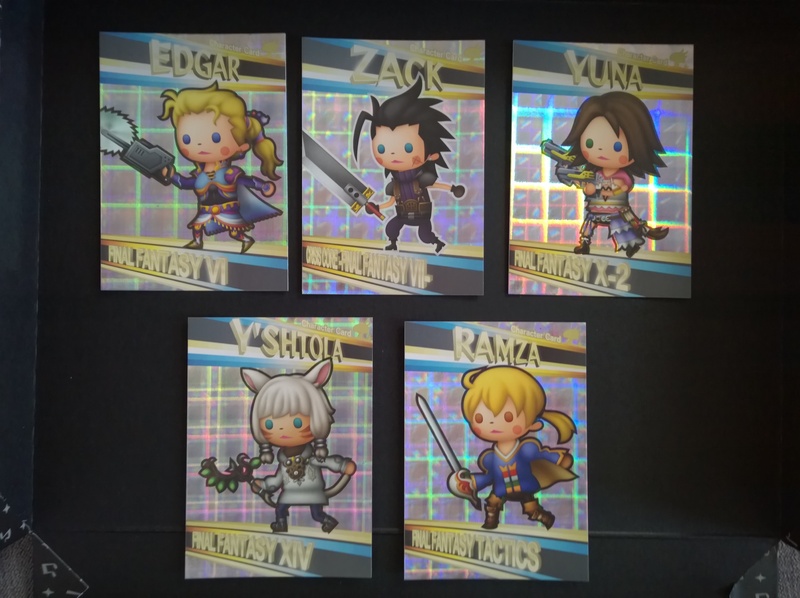 The pack of five contains Edgar from Final Fantasy V, Zack from Final Fantasy VII/Crisis Core, Yuna in her X-2 appearance, Final Fantasy XIV‘s Y’shtola and finally Ramza from Final Fantasy Tactics. 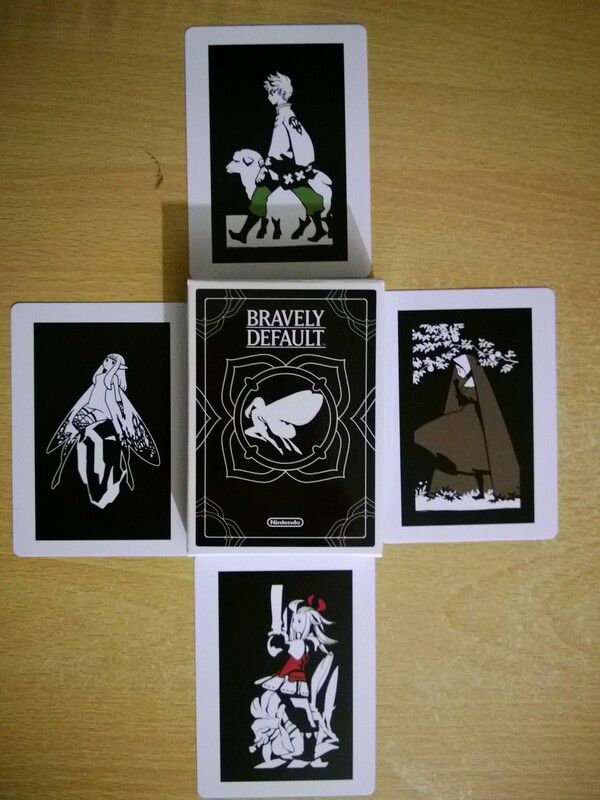 All the cards are double-sided, with character art on the front and a short bio on the reverse side. You can see the back of Zack’s card in the gallery below. Finally, we have two CDs to listen to. The first of these is the same five-track remix CD that also comes with the cheaper limited edition version of Curtain Call, while the second is a 20-track ‘best of’ collection, which includes untouched music from across the series. 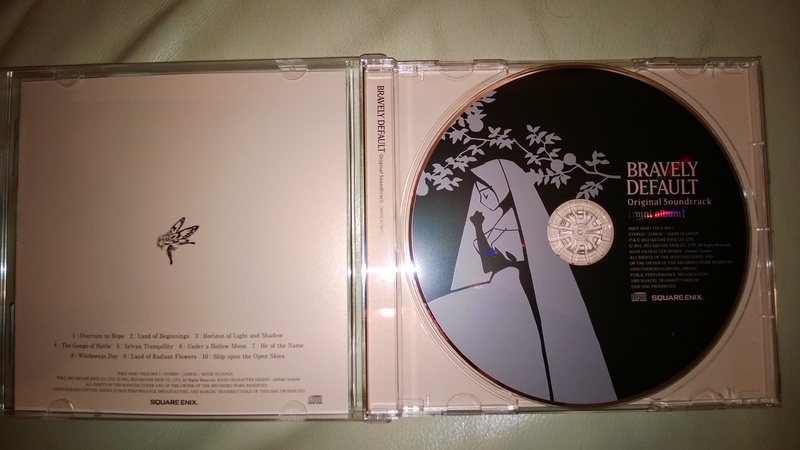 These two discs come in the same jewel case, and you can see the full tracklisting for both in the gallery. 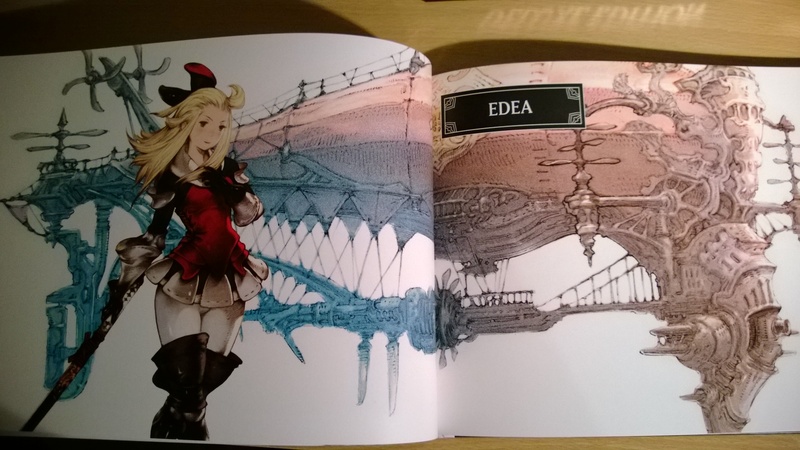 That’s it for collectors goodies, but printed on the manual is a note stating that those who’ve played the demo (like me!) will begin the game with some characters already unlocked and ready to go. For £45, I’m pretty happy with what I’ve got here. I’m about to get started and I can’t wait to spend another 90 hours on the new game. My 3DS is pretty much sorted for the next year. 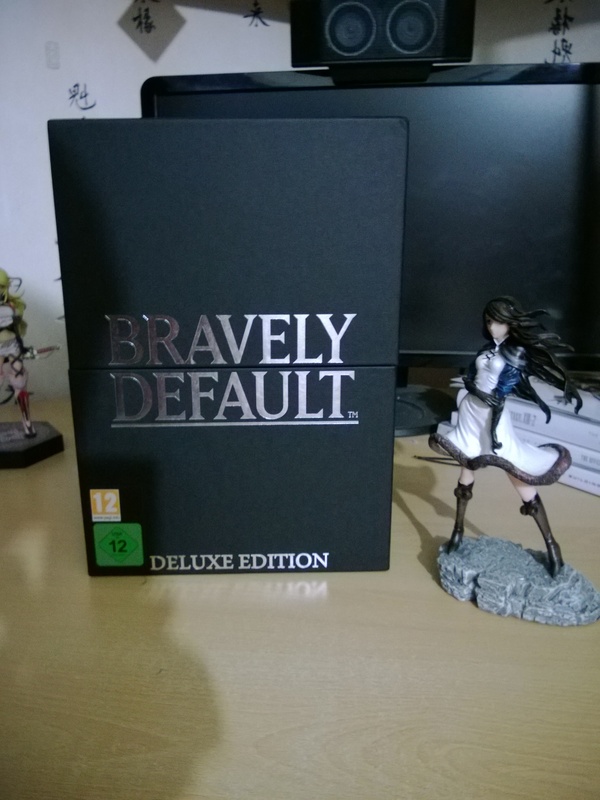 Today sees beautiful 3DS RPG Bravely Default hit European store shelves, just over a year after its Japanese release (as Bravely Default: Flying Fairy), and as you can see from the image above, I decided to help myself to the European-exclusive Deluxe Edition. 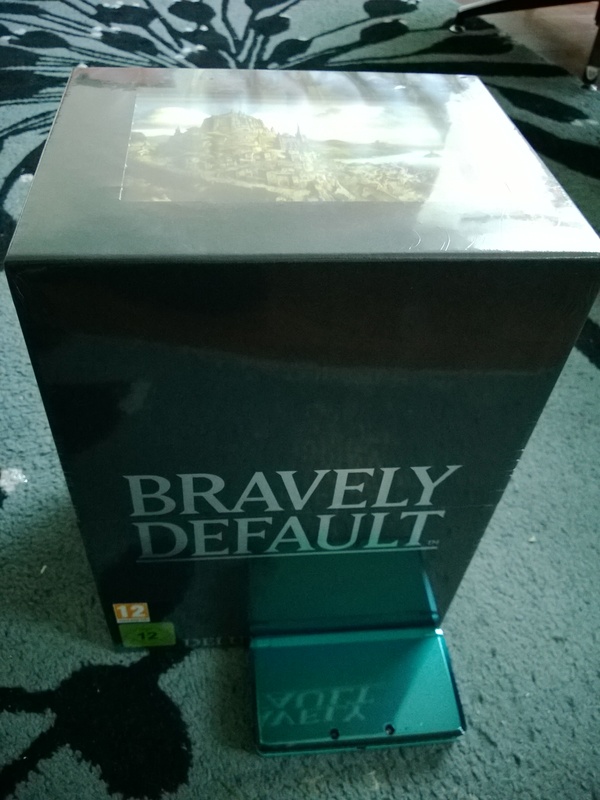 Help yourself and your eyes to some pics of the enormous box and its contents below. 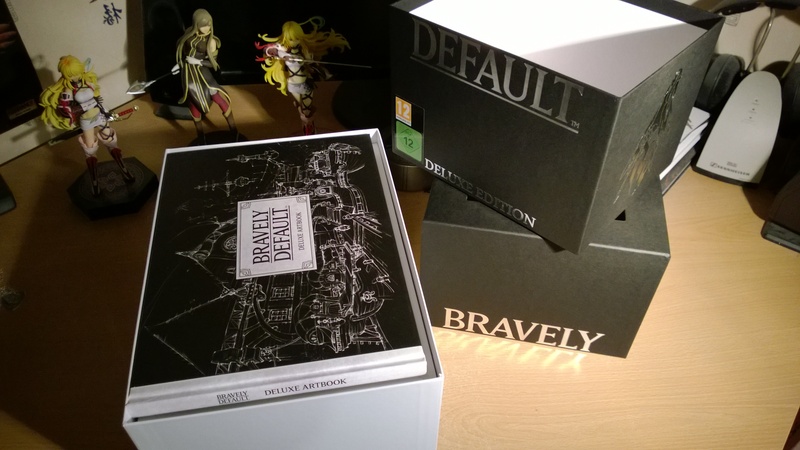 I mentioned that the box was enormous, and it truly is. 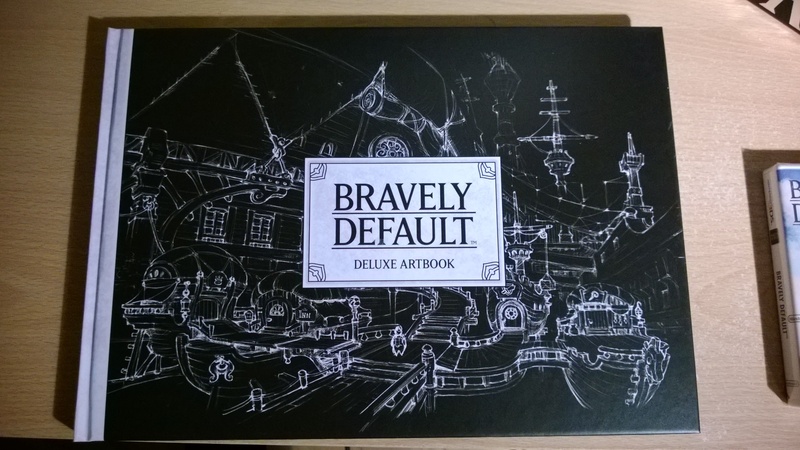 This is mostly to accommodate the full-size hardback art book. 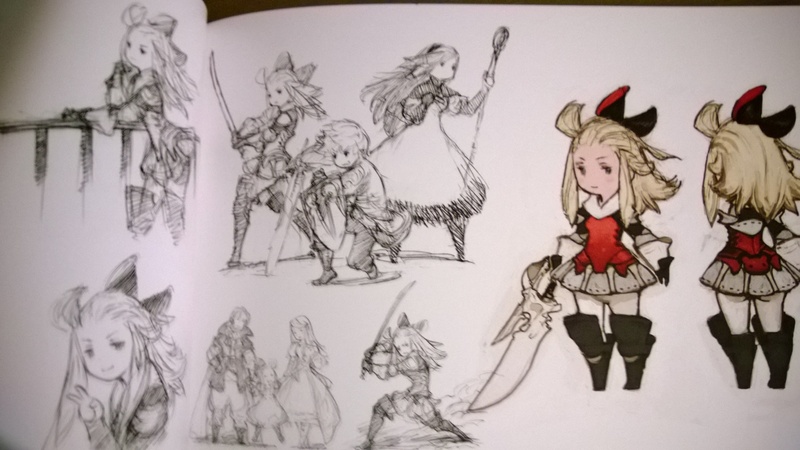 I’ve mentioned in other limited edition quick looks that I’d rather have a hardback art book, but Bravely Default‘s tome goes one better by being a full-blown book. 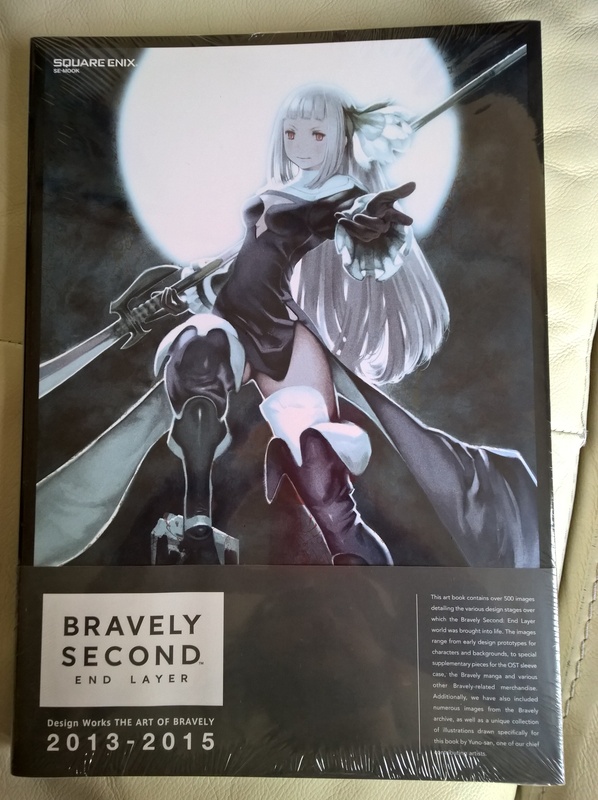 Other than the lovely art book (art from which you can see in the gallery at the bottom of this piece), the box also contains a figurine of Bravely Default‘s mage Agnes. 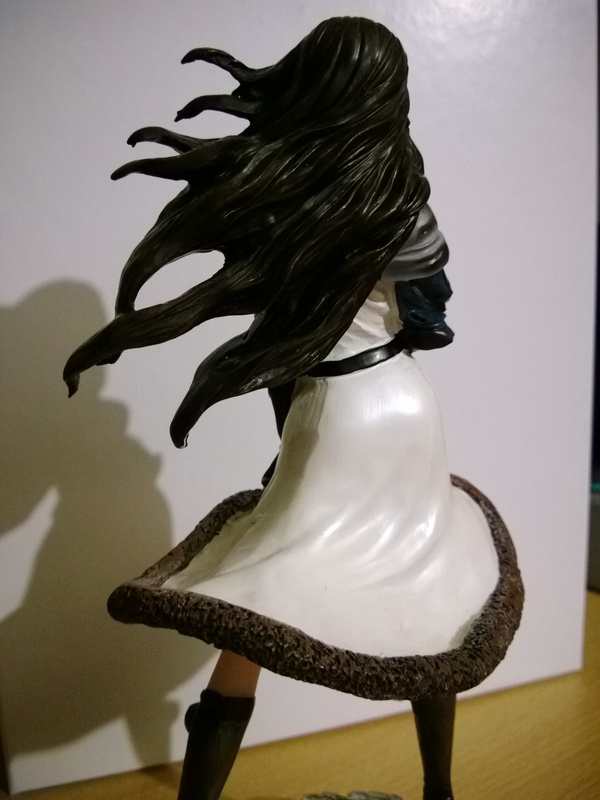 What surprised me the most about the figure is that it’s not plastic – it feels like porcelain. 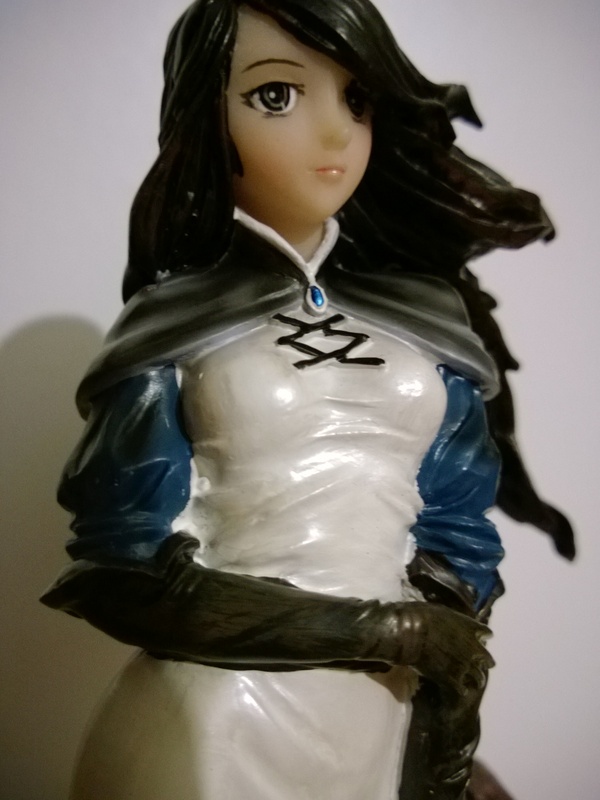 I guess it could be made of polystone, but it doesn’t feel as ‘dense’ as statues made from that material tend to. 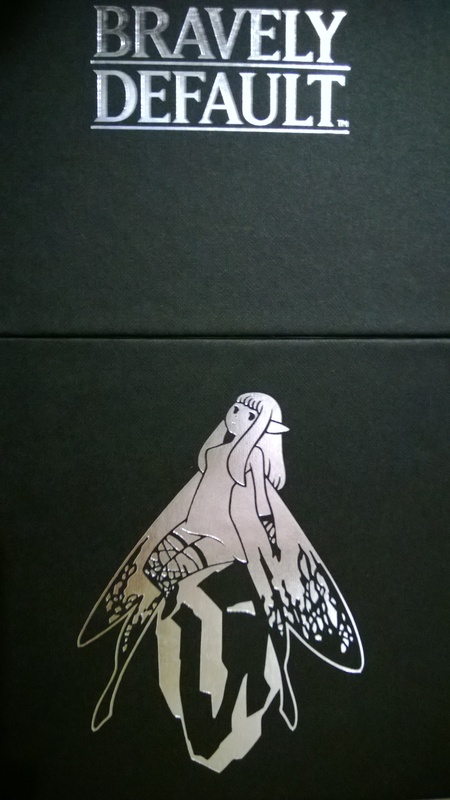 Also in the box is the game itself (of course), a pack of 34 AR cards (that I’ve yet to try out) and a lovely ten-track “mini-album” soundtrack with a beautiful piece of art on the cover. 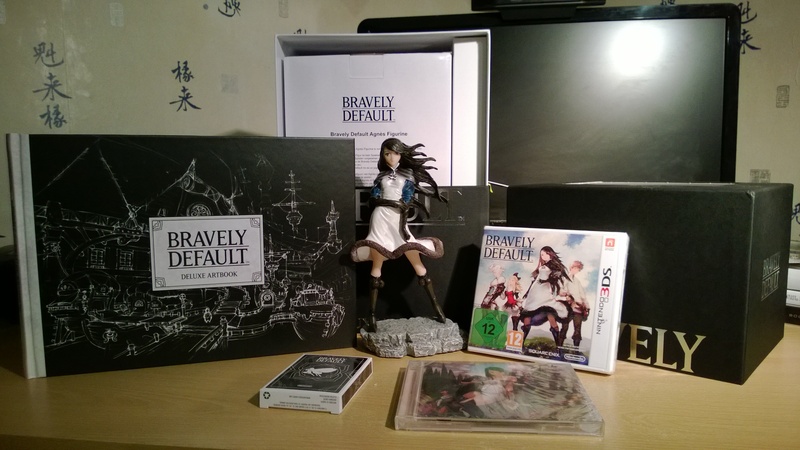 The deluxe edition truly is a deluxe item; every part of it is lavishly-produced, from the big, solid presentation box, silver-foil art elements embossed on black, to the handpainted Agnes statue, and even the beautifully minimalistic soundtrack disc art (which you can see in the gallery), everything is beautifully made. I can kind of understand now why they were originally asking for £100 for it. 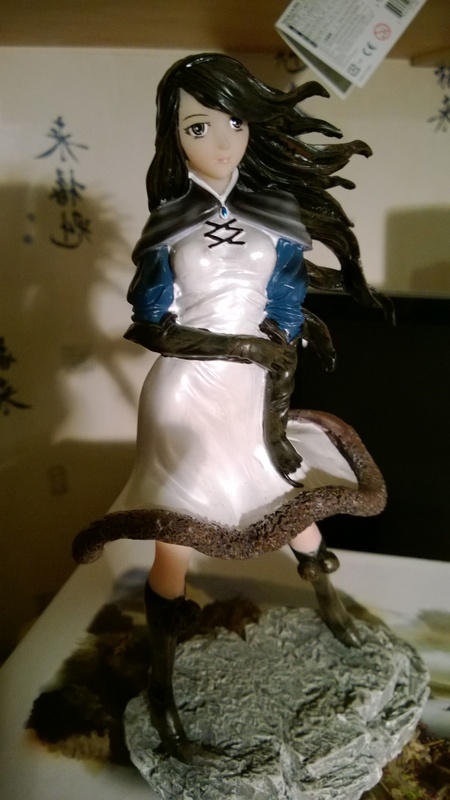 Thankfully the price dropped almost immediately to £80, and I’m perfectly happy with what I’ve received for my money – I think it’s worth every penny. 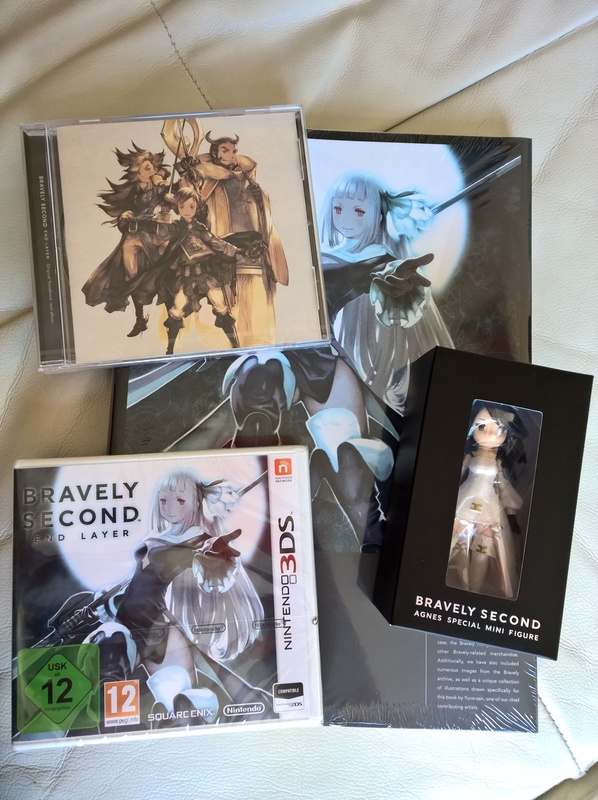 Now I just need to find the time to play the game! 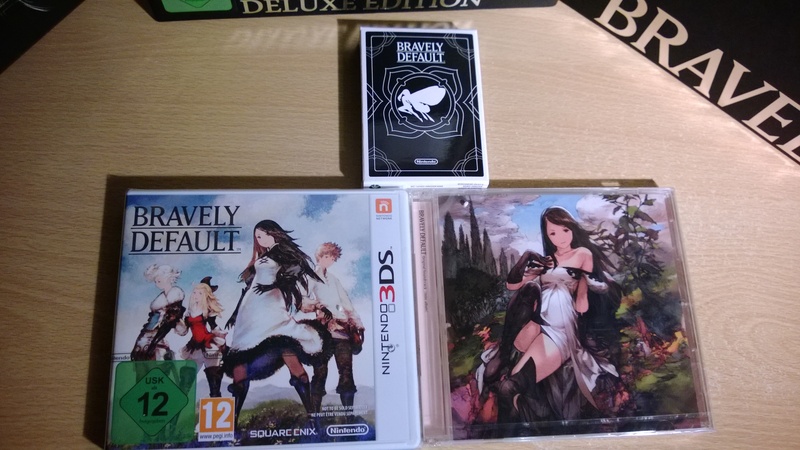 Hopefully I’ll get to it before the just-announced sequel, Bravely Second, is released! 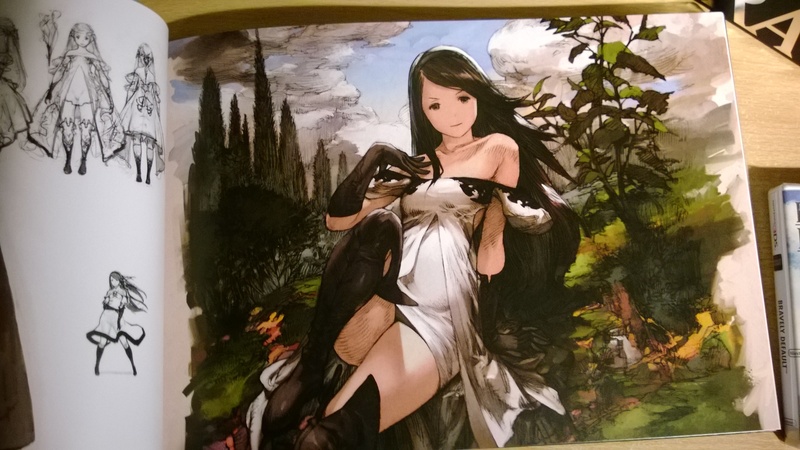 Enjoy some more images of the Bravely Default Deluxe Edition in the gallery below. I’ve waxed lyrical about Theatrhythm before, Square-Enix’s curious little Final Fantasy-themed rhythm-action title that saw release on the Nintendo 3DS in 2012. I suppose part of my love for it is that it’s as unexpected a candidate for a game of the generation as I could imagine. Even as a huge fan of Final Fantasy and its music, I never thought I’d put eighty-five hours into a handheld rhythm game. 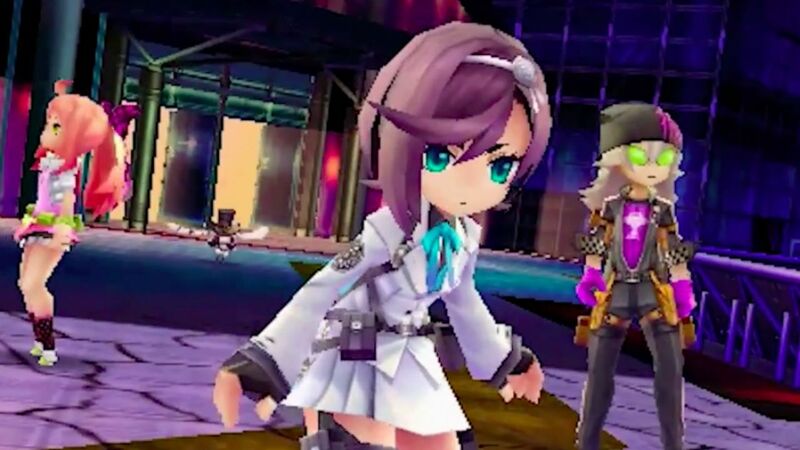 In the run-up to Theatrhythm‘s Japanese release, I had more or less ignored it – it’s exactly the kind of game I’d expect to never make it out of its home territory. So I didn’t know a great deal about it until a demo landed on the 3DS e-store. I had expected it to be a relatively lightweight affair, and the demo didn’t do a great deal to dispel that, offering a choice of two tracks to prod along to (Final Fantasy VIII‘s ‘The Man with the Machine Gun’ and Final Fantasy XIII‘s ‘Sunleth Waterscape’). But this was just a short teaser of the full game; I wasn’t about to judge the full release on a demo alone, and I’d already long-since decided to buy it – it had Final Fantasy music in it, after all. It was lucky I did. Theatrhythm is a deep, deep game. 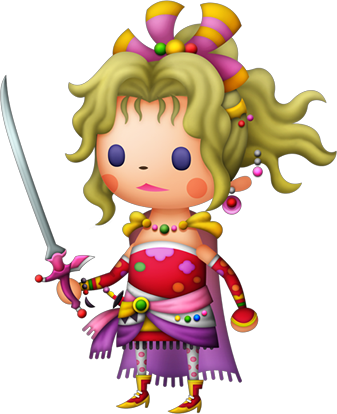 So, for the uninitiated, the basics: Theatrhythm first tasks you with choosing a party of four iconic Final Fantasy characters, before embarking on one of three types of music stages. In Field stages, your first character strolls through an environment made up of areas from the game that the music comes from, so during the aforementioned ‘The Man with the Machine Gun’, you’ll see such familiar landmarks as Balamb Garden and Fisherman’s Horizon scroll past as a note chart comes at you from the left. Do well enough in a specific section of the chart and you’ll summon a chocobo to speed you through the stage. Battle stages look much like a Final Fantasy battle of old, with your team of four standing along the right side of the screen, with various monsters appearing as enemies to be vanquished by your performance across four lanes of note charts. Finally, Event stages are note charts set to a montage of emotional cutscene moments. 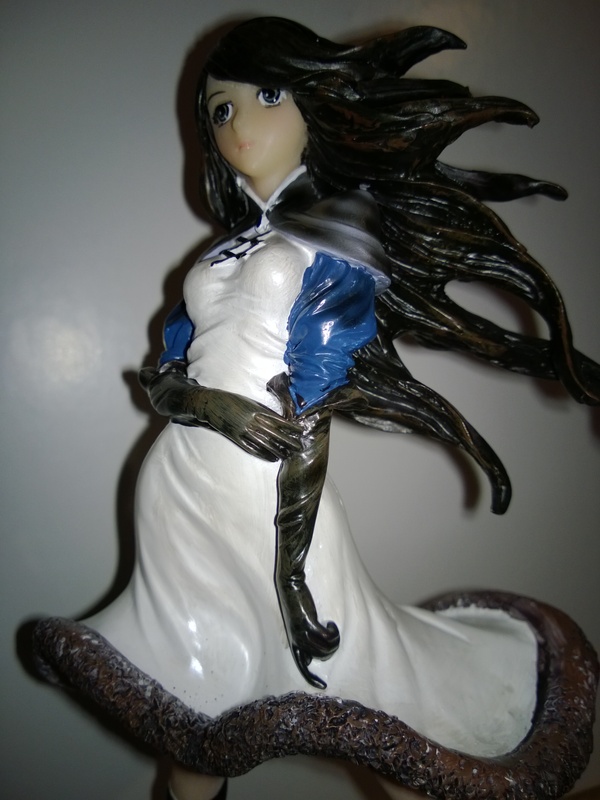 Final Fantasy X‘s ‘Suteki da ne’ is a particular favourite of mine. Each numbered-series title up to Final Fantasy XIII has its own ‘playlist’ consisting of one of each type of stage, and you can choose to either work through a game at a time in series mode, or pick and choose single tracks to play in challenge mode. However, this being a spin-off from an RPG series, there’s more going on than simply swiping your stylus through fun songs. Each character in your party accrues XP across all modes, increasing both their level and their base stats (strength, magic, agility and luck), as well as collecting equippable skills, items and equipment to help you out in a tough situation. 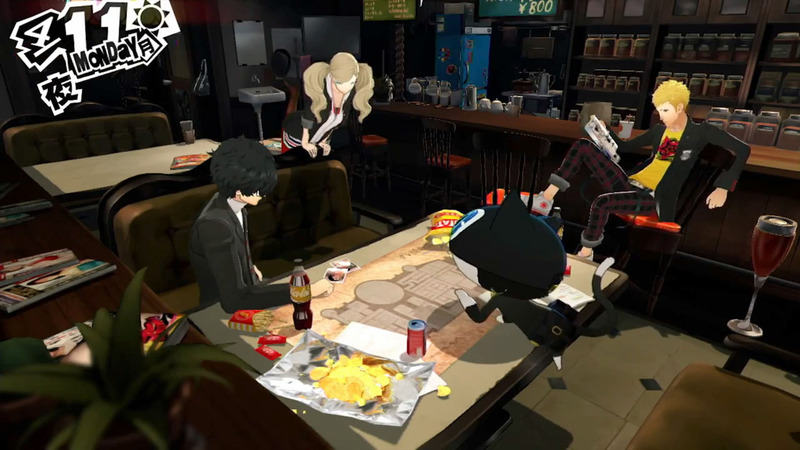 Every character has strengths and weaknesses, which means you need to put some thought into choosing the ideal party for the game’s real challenge: The Chaos Shrine. This is where you’ll play Dark Notes, special pairs of songs – one field track, one battle – that can be far harder than anything in the other modes (think superfast note charts with spinning arrow notes – you’ll need to figure out which way they’ll be pointing when they reach you! ), and it’s through Dark Notes that you’ll get the rare item drops needed to unlock new player characters. Each time you finish a Dark Note you’ll unlock a new one, which will often feature tracks not found in the main game. 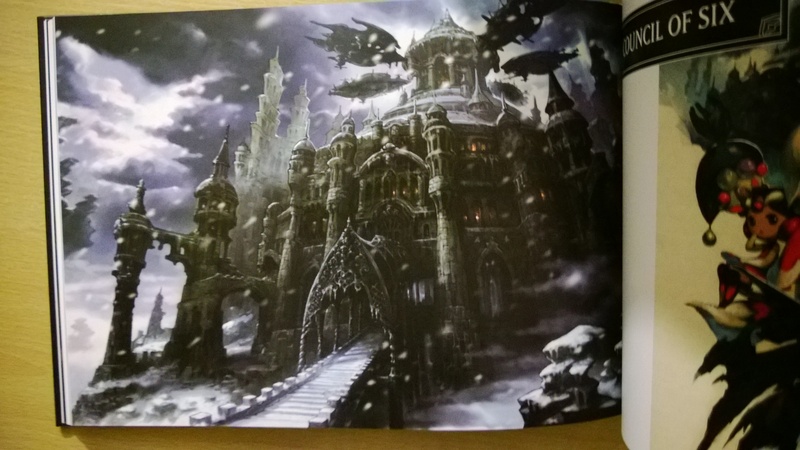 This is the part of Theatrhythm that will propel your file time into the double-, if not triple-figures. Best of all, if you allow the game access to Streetpass, you might just pick up a new Dark Note from another player – I picked up a ton of them when I took my 3DS to last year’s Eurogamer Expo. Visually, the game is a real treat. 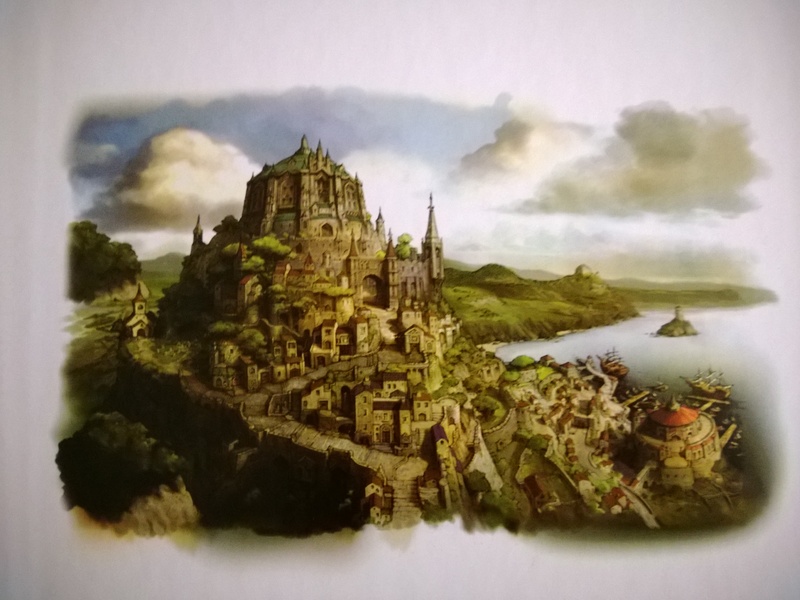 Environments are beautifully drawn and saturated in bright colours, and landmarks and battlefields are easily recognisable from their host games; in Final Fantasy X‘s battle stage you can even spot pyreflies dancing away in the background. But it’s the character designs that are the focus here, with all your favourite Final Fantasy heroes, villains and enemy monsters reproduced in a cute super-deformed art-style. 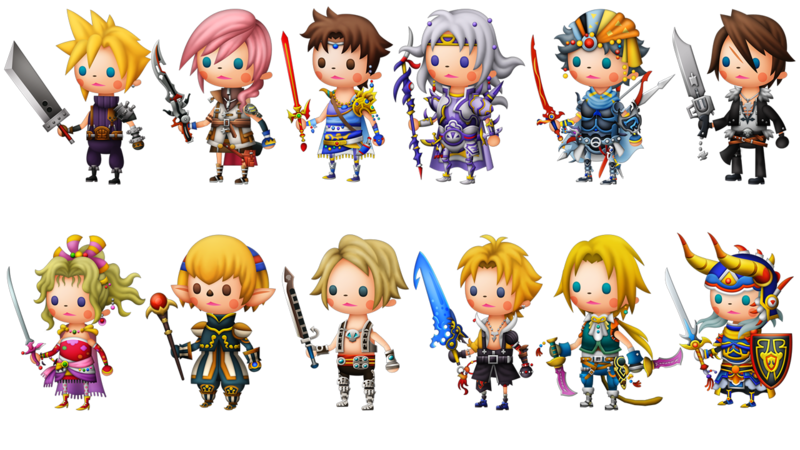 Chibi-Terra is my personal favourite. 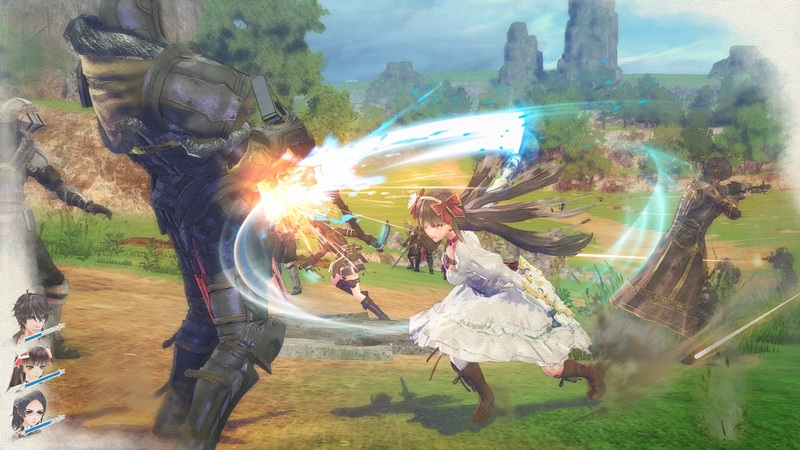 A word of warning though: this is one 3DS game that I wouldn’t recommend playing with the 3D slider on. While it offers a nice bit of depth to the backgrounds, the note prompts sit on a separate plane on top. This means two separate ‘layers’ are displayed, both moving individually, and trying to focus on one and ignore the other can really wreck your eyes. On the plus side, turning off 3D means you can play Theatrhythm for longer. 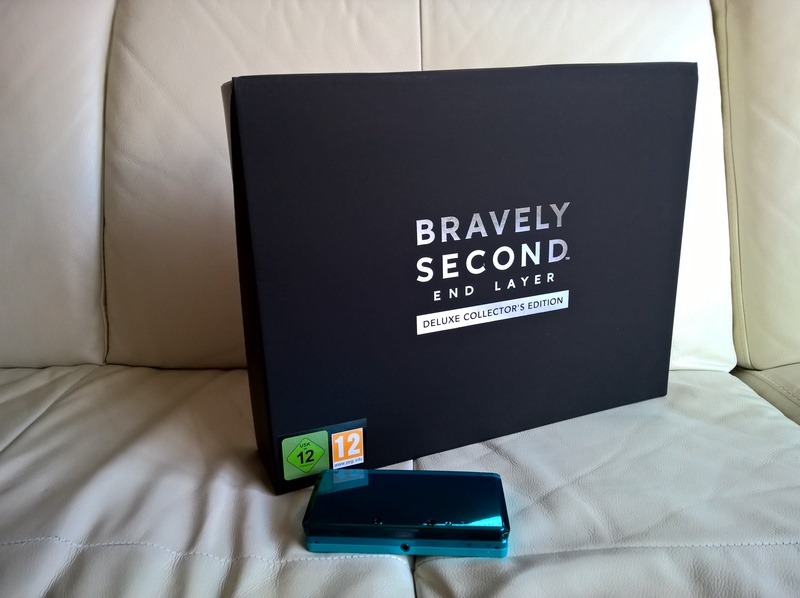 The 3DS cart comes packed with more than 70 songs to play through and Square-Enix also supported the game with weekly DLC for a fair while. In all, 52 extra tracks were added and I bought them all. What’s interesting is that they saw fit to add in songs from both Final Fantasy Type-0 and Final Fantasy Versus XIII. The latter has since been shunted to next-gen and renamed Final Fantasy XV, while Type-0 remains unreleased outside of Japan. Perhaps there’s hope yet for the PSP title. Also stuffed onto the cart is a music player containing all the tracks in the game and a movie viewer, which allows us to watch those gorgeous cutscenes in all their glory, without the distracting note charts drawn all over them. Like the secret characters these all have to be unlocked, though in these cases via ‘Rhythmia’ – an ever-increasing total that you gather by doing well in the game. Also unlockable are ‘CollectaCards‘, effectively in-game ‘trading’ cards depicting characters and enemies. These cards cannot be traded between players, but can be levelled up by getting the same card a number of times as an item drop; at level four, cards become holofoil cards, and at level 7 they turn into platinums. In Theatrhythm, you’re always either unlocking something or working towards something, and it’s a great set of collectibles that keeps you playing for hours. It’s not all about grinding out those collectibles though. Often, it’s the determination to get a perfect score on every song that brings me back to the game, and no doubt I’ll still be trying to nail down those ultimate perfects when the sequel, Theatrhythm Curtain Call, arrives with new songs, characters and even airships sometime in the indeterminate future.